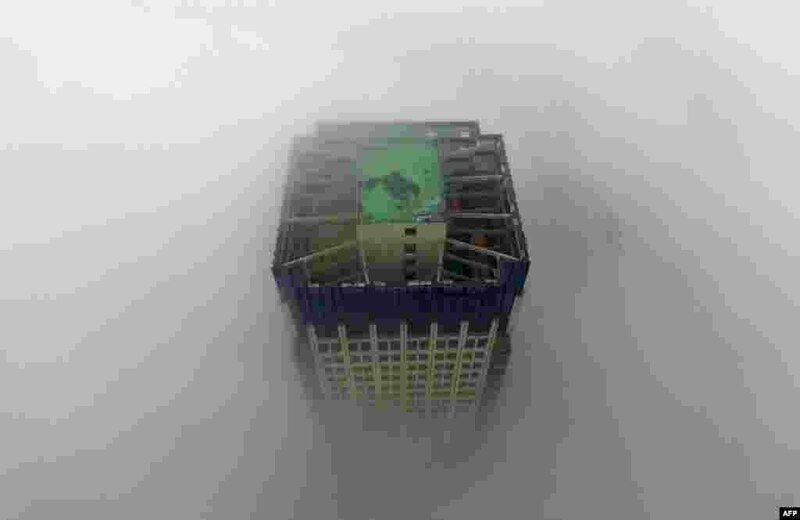 1 A building appears through a thick layer of fog in Yangzhou, in China's eastern Jiangsu province. 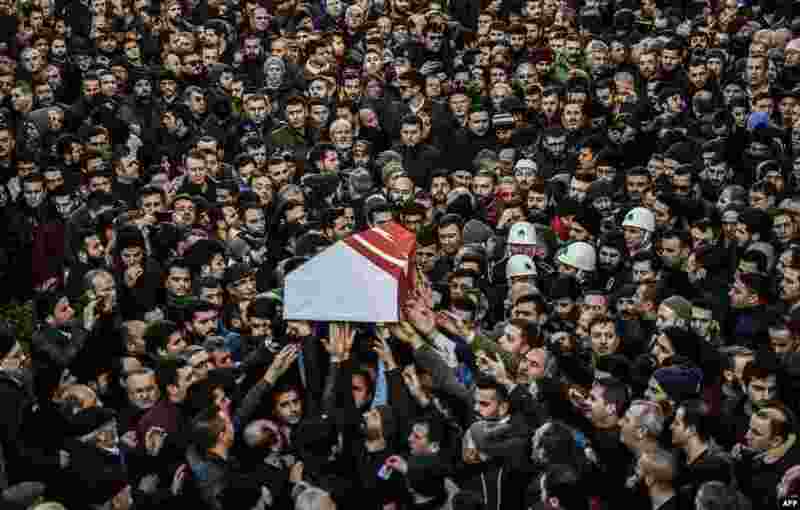 2 People carry the coffin of Yunus Gormek, 23, one of the victims of the Reina night club attack, during his funeral ceremony in Istanbul, Turkey. 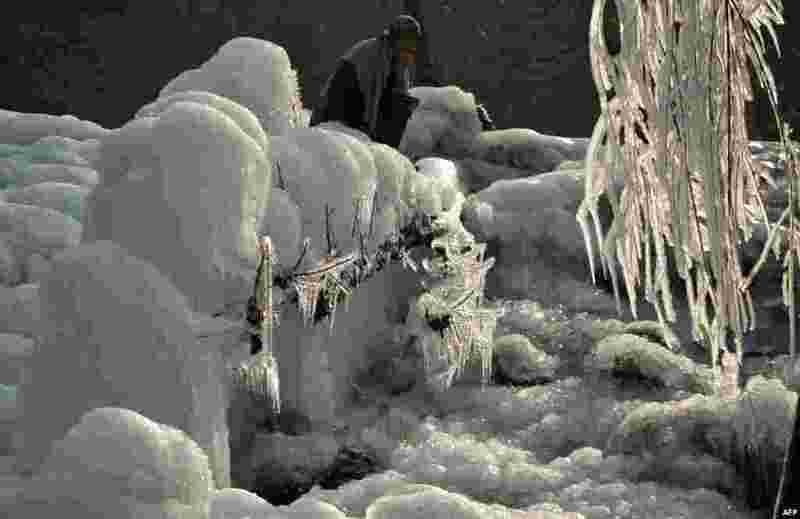 3 A Kashmiri walks past a frozen water in Kokernag some 100kms south of Srinagar, India. 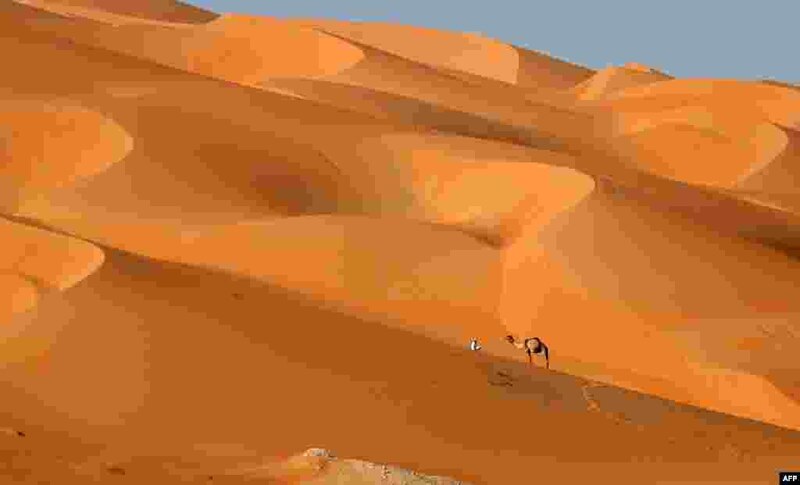 4 A man walks with his camel across the Liwa desert, some 250 kilometers west of the Gulf emirate of Abu Dhabi, during the Liwa 2017 Moreeb Dune Festival.